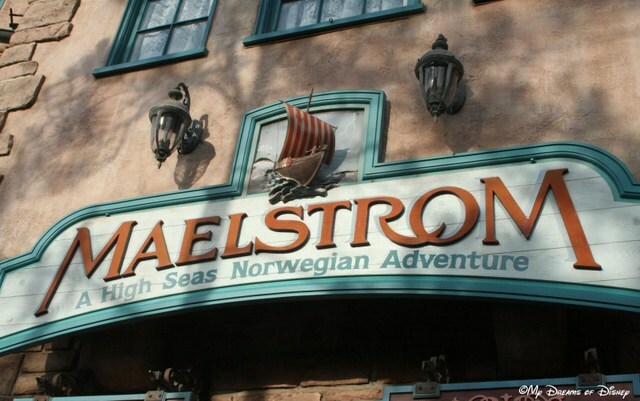 Today’s #DisneyTrivia is about Maelstrom — good luck with our trivia question! Hello everyone, and welcome to our Tiggerific Tuesday Trivia segment for this week! Christmas is certainly coming on strong, isn’t it? I hope everyone is ready and able to enjoy the holiday season, and that you are able to spend some good, quality time with your family. In the Maelstrom in EPCOT there is a troll that tells you to disappear. How many heads does this troll have? Read along, and you’ll get the answer at the bottom of the post. Did you know that you can join in on our trivia segments each week? We’ve got this thing, called a “linky” — don’t ask me where the term comes from because I don’t know — and if you have a blog, you can write your own post, publish it, and then add your information into the linky so that we can all see it. What do you think? Care to give it a try? Go for it! In the meantime, please click on the links of the other entries and read what great trivia they have for you this week! Now, about that answer. Of course you all know this — the troll has 3 heads. Thanks for playing along! Tiggerific Tuesday Trivia – the Garden Grill Restaurant! Tiggerific Tuesday Trivia – This Day in Disney History! 3! I love that ride — I quote it the whole way through. haha! I love that ride as well! My father’s side of the family is Norwegian and my grandfather learned wood carving from one of the guys who did the Norway pavilion wood working. Love the Maelstrom and all the trolls! I only recently realized there are hidden trolls in the mural in the wait queue too. So fun! Previous Post: Magical Blogorail – The Extras of a Disney Christmas! Next Post: The Lands of Disneyland: Fantasyland!